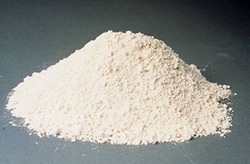 Manufacturer & Exporter of Meta Kaolin. Our product range also comprises of China Clay Lumps, China Clay Powder and Calcined Kaolin Powder. We offer Meta kaolin which is generally obtained in the hydrate aluminum silicate (AI203 2Si02 2H2O) form and is formed by the alteration of Felspathic Rock.